I prefer to think about God. Me? I’ll read the Bible. Or I’ll read scholarly insights about the Bible. Or I’ll even read commentary about commentary about the Bible. It’s all so, well, interesting to ponder what I’ve read about God. And safe. I enjoy debating scripture. A few weeks back, the lectionary focused on Jesus’ baptism. Isn’t it bothersome that Mark has the spirit—like a dove—arriving immediately as Jesus rises from the Jordan, while Luke has the same feathered metaphor appearing later? Hey, get your stories straight! And let’s ignore how John’s Gospel depicted Jesus’ baptism, ‘cuz I’ll get agitated about how different that was! Give me a scripture and I’ll figuratively arm-wrestle you about why it’s a PR ploy by first-century evangelists wary of the Roman Empire. Talk, I will. Argue, I will. Too often, and too easily, I protect myself with fancy words and selected facts. When my wife and I returned to the car, and after I’d fallen in the snow those zillion times, I told her, “I’m glad I’ve had good ski experiences in the past.” If that day had been my only point of reference for cross-country skiing, I’d consider tossing my skis and poles into the fireplace for kindling. But I knew of the good days. And could anticipate more good days. It’s like that for my faith, for my sense of the foolishness of the cross. I can recall and celebrate the moments—the small percentages of time—where my “head” didn’t protect me, but instead my “heart” felt fully engaged. 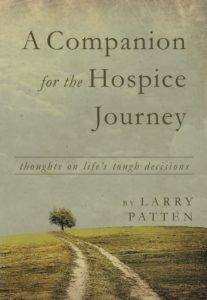 Not too long ago, while visiting a hospice patient, I heard his anguish over a family situation. I’m merely a volunteer. I’m not there as an ordained pastor, though I am. I’m not there because it’s my “Christian duty,” though I’m a follower of Jesus. He hurt. I know hurt. He felt broken. I too am broken. I sat beside him, mostly saying nothing. I sat beside him, and I think—I believe—he knew I’d stay with him until that moment’s anguish passed. He needed another to listen. I listened. He asked for a prayer. We prayed. The foolishness of the cross is many things. Indeed, it would easy to debate its multitude of meanings. But it’s at least one thing for me in some of my fleeting best moments: a challenge to let my go of those things I protect myself with and risk being fully with another. *shidled or shidling: shivering while pedaling, usually done by people wearing odd helmets and brightly-colored jackets.